This week the guys are joined by Paul Allor (TMNT, G.I. Joe). Paul tells the guys how he got started, and how he is the break out artist of 2019. Plus he tells them all about his latest book Monstro Mechanica. So sit back and enjoy! Comic Frontline Live #121: Unleashed! The Frontline crew battles through audio problems, headaches and dropped internet to bring you another exciting episode of Comic Frontline LIVE! First, it’s news in and around the world of comics, followed by the worst pick of the week, and finally the Top 5! Plus some viewer questions answered, some plugs, and more! 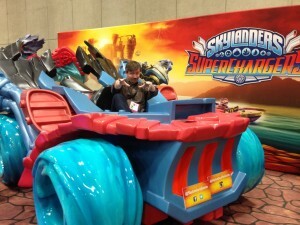 They also give their thoughts on the Monsters Unleashed news Marvel put out last week. Brant and Chris go it alone as they discuss some of the news coming out of San Diego Comic-Con International 2016! First up, they talk about a couple of DC/IDW crossovers. Then they talk some general Marvel stuff from a few panels. After that, it’s into four DC panels from Thursday and Friday. Finally, they discuss IDW’s Revolution. Coming up, Coming Out and Going On closes out the show as they talk the return of TWO Zone 4 podcasts! Zone 4 #311: San Diego Comic Con 2015! The crew returns to talk about some of the news coming out of San Diego Comic Con 2015! Brant, Chris and Michael are joined briefly by Chuck on the convention floor of SDCC. Topics include new series from IDW and DC, Star Wars, new TV and movie developments, a weird discussion about cereal, and much more! 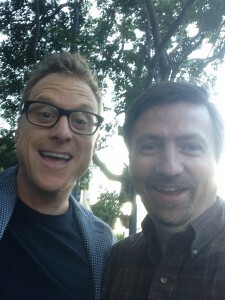 Chuck Moore Meets Alan Tudyk! It’s a short crew this episode, as Brant and Chris chat about various comic related topics, including TMNT, Ghostbusters, Superman, and more! They also talk about the debut of Last Ember Press at this weekend’s Derby City Comic Con!